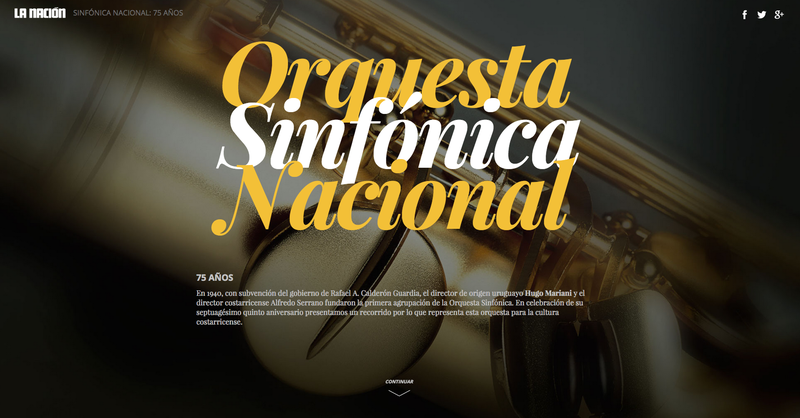 Happy to finally conclude a couple of months of research, visualise and design this special feature in celebration of the 75th anniversary of the National Symphonic Orchestra of Costa Rica. For this project, I’m try to develop an experience immersed into dataviz fusioned with clear spaces, photography, video and even white space. The 75th anniversary of the National Symphonic Orchestra. This special contains sections as the video documentary with the 75 years of history, small graphics of the instruments families, the musicians chronology, playlist and more. Use Google Chrome for translation from spanish.